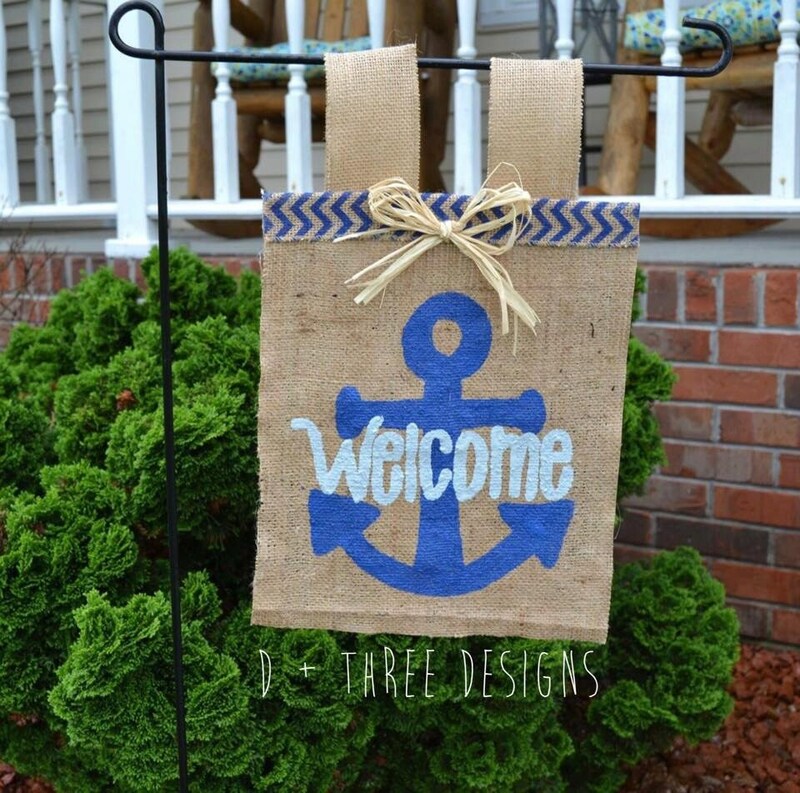 This is the perfect touch to any yard flag holder! This garden flag is sealed and stiffened to promote weather resistance. Each garden flag is hand made and painted. The measurements are approximately 12 x 12. Custom and personalized orders are welcome! 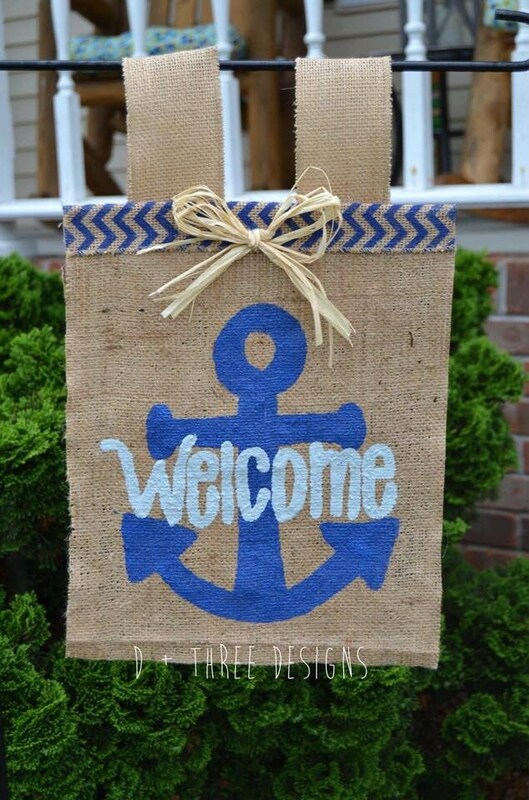 This yard flag is an Anchor with "Welcome" written as pictured. Comes with a chevron burlap strip and raffia bow at the top. Wording can be customized to your needs as well as colors just send us a message! Please allow up to 1-2 weeks to make your flag! Upon purchasing this item, you are agreeing to all terms and policies as stated on our policies page.